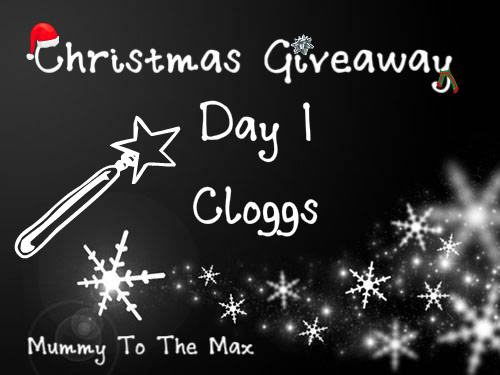 Hello and welcome to our amazing Christmas Giveaway! Are you excited? We are!! So lets start. Our first prize has been donated to us by Cloggs. 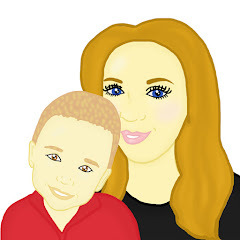 Cloggs.co.uk is an International Online Retailer, trading online since 1998. For over 10 years. They have aspired to be the No 1 Online Retailer of Branded Footwear. They stock the widest ranges of the best known High Street Brands and deliver them to your door as quickly and easily as possible. 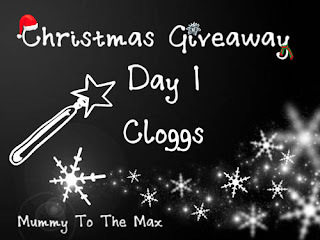 Me and Maxwell have recently reviewed a pair of Converses each from Cloggs! We were thrilled with them and were impressed by the service we received by Cloggs. Cloggs are giving you a chance to win a £30 voucher! Thanks for the competition! Happy Christmas! Thanks for the competition. Merry Christmas! Great giveaway - love all the leopard print shoes/boots out at the moment! Thankyou for the competition. Fingers crossed. Thanks for all the competitions. Making me feel really Christmassy! Great prize, good luck me !! Great prize, fingers crossed. i would be very popular with my daughter if i won! great prize.. and great blog!!! Fantastic, thanks so much . Just got the xmas tree out for the kids - so excited they look like their going to burst !!! Thanks for the advent competition. Happy Christmas! Thanks for the advent competition! I love cloggs so easy to put on!